The laboratory of Stem Cell Biology and Pharmacology of Neurodegenerative Diseases, led by Prof. Elena Cattaneo, is part of the Department of Bioscience at the University of Milan. The lab has relocated in INGM in July 2015, on the basis of a collaborative agreement between the University of Milan and INGM. The laboratory studies Huntington’s Disease (HD), a rare genetic and neurodegenerative disease. The goal is to understand the physiopathology of this disease, in order to develop pharmacological, genetic and cellular strategies that could slow down the course of the illness or prevent its onset. Investigate Huntingtin function in adulthood and throughout evolution (collaboration with Bioinformatic Unit – Dr Riccardo Rossi). Investigate the differentiation potential of human pluripotent stem cells carrying the mutant Huntingtin to pinpoint the pathophysiological mechanisms underlying HD. Establish new high throughput screening methods to characterize cell identity during in vitro differentiation of human pluripotent stem cells to authentic striatal neurons, in order to optimize our striatal differentiation protocols. The laboratory works with Huntington’s disease clinical experts in Italy and abroad, to assess the diagnostic and therapeutic potential of our research findings for clinical translation and application. The laboratory is composed of one full professor, one associate professor, one university researcher, Post-Docs, PhD Students, Junior Fellows and Master Students, all of them are part of the University of Milan. Molecular Profiling of the developing human striatum. Optimization of striatal differentiation protocols using human pluripotent stem cells. Pathogenic mechanisms in Huntington’s Disease. Huntingtin function in adulthood and throughout evolution. Cholesterol delivery in the HD brain. 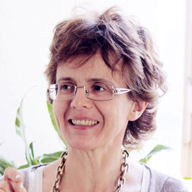 Elena Cattaneo has published >160 papers in peer-reviewed journals (including Science, Nature, Nature Genetics, Nature Neuroscience, Journal of Neuroscience, JBC). Her H-index is 54. Differentiation of human telencephalic progenitor cells into MSNs by inducible expression of Gsx2 and Ebf1. Faedo A, Laporta A, Segnali A, Galimberti M, Besusso D, Cesana E, Belloli S, Moresco RM, Tropiano M, Fuca E, Wild S, Bosio A, Vercelli AE, Biella G, Cattaneo E.
Cholesterol-loaded nanoparticles ameliorate synaptic and cognitive function in Huntington’s disease mice. Valenza M, Chen JY, Di Paolo E, Ruozi B, Belletti D, Ferrari Bardile C, Leoni V, Caccia C, Brilli E, Di Donato S, Boido MM, Vercelli A, Vandelli MA, Forni F, Cepeda C, Levine MS, Tosi G, Cattaneo E.
Mutant Huntingtin promotes autonomous microglia activation via myeloid lineage-determining factors. Crotti A, Benner C, Kerman BE, Gosselin D, Lagier-Tourenne C, Zuccato C, Cattaneo E, Gage FH, Cleveland DW, Glass CK. Molecular and functional definition of the developing human striatum. Onorati M, Castiglioni V, Biasci D, Cesana E, Menon R, Vuono R, Talpo F, Laguna Goya R, Lyons PA, Bulfamante GP, Muzio L, Martino G, Toselli M, Farina C, Barker RA, Biella G, Cattaneo E.
Developmentally coordinated extrinsic signals drive human pluripotent stem cell differentiation toward authentic DARPP-32+ medium-sized spiny neurons. Delli Carri A, Onorati M, Lelos MJ, Castiglioni V, Faedo A, Menon R, Camnasio S, Vuono R, Spaiardi P, Talpo F, Toselli M, Martino G, Barker RA, Dunnett SB, Biella G, Cattaneo E.
An evolutionary recent neuroepithelial cell adhesion function of huntingtin implicates ADAM10-Ncadherin. Lo Sardo V, Zuccato C, Gaudenzi G, Vitali B, Ramos C, Tartari M, Myre MA, Walker JA, Pistocchi A, Conti L, Valenza M, Drung B, Schmidt B, Gusella J, Zeitlin S, Cotelli F, Cattaneo E.
Neural stem cell systems: physiological players or in vitro entities? Cholesterol defect is marked across multiple rodent models of Huntington’s disease and is manifest in astrocytes. Valenza M, Leoni V, Karasinska JM, Petricca L, Fan J, Carroll J, Pouladi MA, Fossale E, Nguyen HP, Riess O, MacDonald M, Wellington C, DiDonato S, Hayden M, Cattaneo E.
Molecular mechanisms and potential therapeutical targets in Huntington’s disease. Zuccato C, Valenza M, Cattaneo E.
Brain-derived neurotrophic factor in neurodegenerative diseases. Phylogenetic comparison of huntingtin homologues reveals the appearance of a primitive polyQ in sea urchin. Tartari M, Gissi C, Lo Sardo V, Zuccato C, Picardi E, Pesole G, Cattaneo E.
Widespread disruption of repressor element-1 silencing transcription factor/neuron-restrictive silencer factor occupancy at its target genes in Huntington’s disease. Zuccato C, Belyaev N, Conforti P, Ooi L, Tartari M, Papadimou E, MacDonald M, Fossale E, Zeitlin S, Buckley N, Cattaneo E.
Normal huntingtin function: an alternative approach to Huntington’s disease. Cattaneo E, Zuccato C, Tartari M.
Dysfunction of the cholesterol biosynthetic pathway in Huntington’s disease. Valenza M, Rigamonti D, Goffredo D, Zuccato C, Fenu S, Jamot L, Strand A, Tarditi A, Woodman B, Racchi M, Mariotti C, Di Donato S, Corsini A, Bates G, Pruss R, Olson JM, Sipione S, Tartari M, Cattaneo E.
Zuccato C, Tartari M, Crotti A, Goffredo D, Valenza M, Conti L, Cataudella T, Leavitt BR, Hayden MR, Timmusk T, Rigamonti D, Cattaneo E.
Opinion: neural stem cell therapy for neurological diseases: dreams and reality. Loss of normal huntingtin function: new developments in Huntington’s disease research. Cattaneo E, Rigamonti D, Goffredo D, Zuccato C, Squitieri F, Sipione S.
Shc signaling in differentiating neural progenitor cells. Conti L, Sipione S, Magrassi L, Bonfanti L, Rigamonti D, Pettirossi V, Peschanski M, Haddad B, Pelicci P, Milanesi G, Pelicci G, Cattaneo E.
Loss of huntingtin-mediated BDNF gene transcription in Huntington’s disease. Zuccato C, Ciammola A, Rigamonti D, Leavitt BR, Goffredo D, Conti L, MacDonald ME, Friedlander RM, Silani V, Hayden MR, Timmusk T, Sipione S, Cattaneo E.